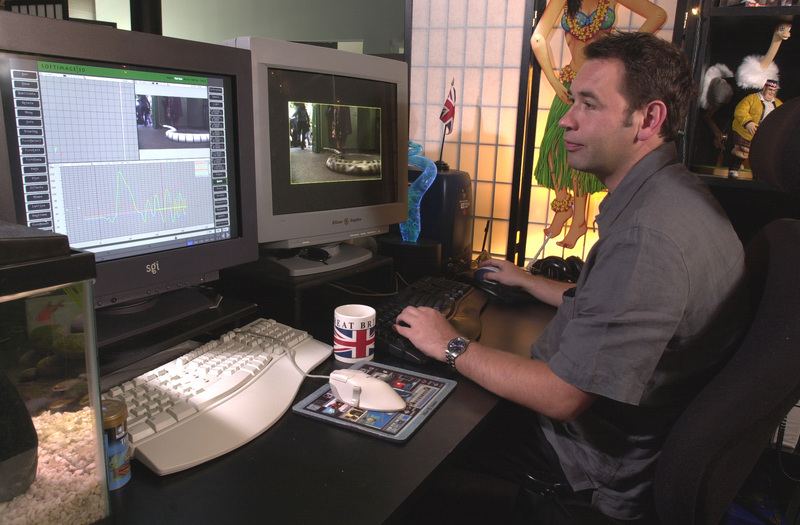 Feb 2002 Customer story on how ILM used SOFTIMAGE|3D on Harry Potter and the Philosopher’s Stone, in particular the CG python seen at the beginning of the movie. Glasses, bowl-cut hair, a British prep-school look – not exactly qualities of a hero with mass appeal, but Harry Potter has become just that: a literary and marketing phenomenon with children and adults alike. Harry Potter and the Sorcerer’s Stone is the film adaptation of J. K. Rowling’s first novel in her series of best-selling adventures about a young wizard coming into his own. Directed by Chris Columbus, the film has steadily attracted fans since its opening. With a dominant theme like magic, visual effects experts from various facilities had to create some magic of their own to deliver the 600 CG-intensive shots required. Film production designer, Stuart Craig’s designs became the guidelines for all character creation. This included the skills of makeup artists, Jim Henson’s Creature Shop and the animators at five London effects houses and three facilities in California, one of which was Industrial Light & Magic (ILM). 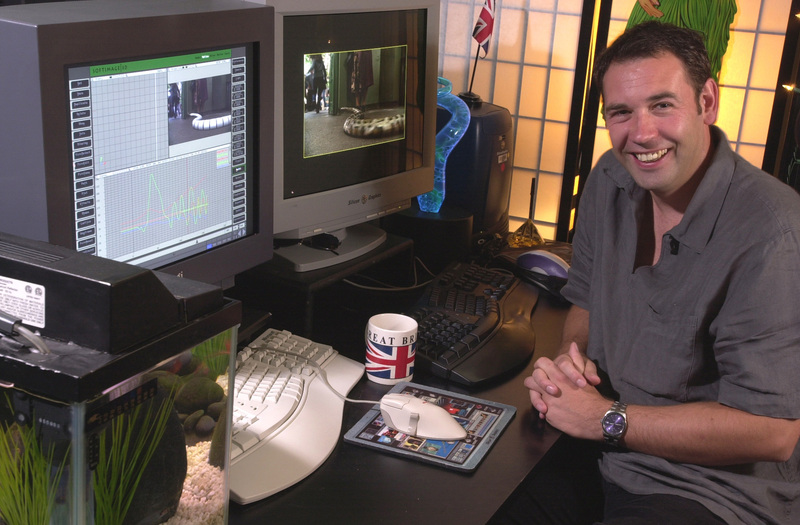 While animatronic creatures were used in shots requiring limited movement, more complex character motion and close-up performances required intensive CG work. Columbus was insistent that the creatures be subtly convincing, regardless of the potential for some outlandish characters to pop into Harry Potter’s magical world. 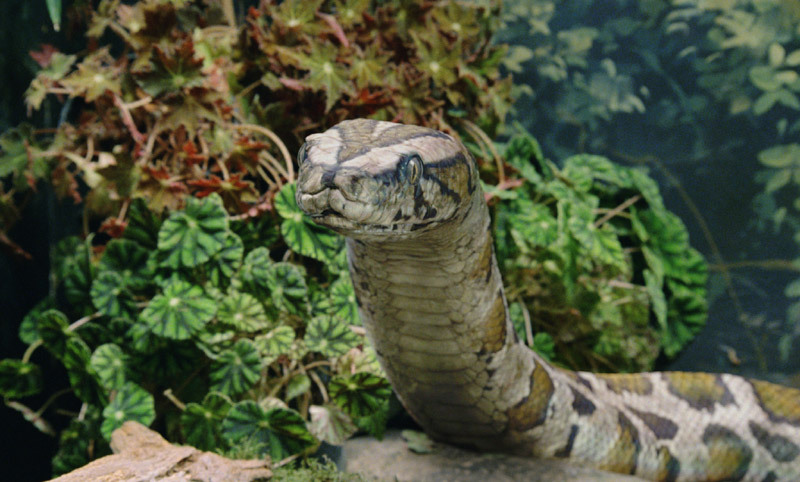 Case in point: the CG snake created for the scene at London’s Regent’s Park Zoo, where Harry visits the reptile house with his foster parents and obnoxious cousin Dursley. As Harry “bonds” with a python, the glass barrier separating the snake from visitors magically disappears and the python slithers out to interact directly with Harry. Good idea, one problem: it looked just like a snake sliding along a pre-determined path. The path itself needed to be animated so that, as the snake moved, some coils would contract, others would expand and the path itself would follow this motion via controllers along the route, complete with a tail-whipping motion, to create a real-life slithering feeling. ILM’s in-house Anim-Rep software enabled Kavanagh to take SOFTIMAGE|3D files with controllers in-place and apply them to completely different scenes in SOFTIMAGE|3D. The intermediate model of the snake slithering along the path could thus be “anim-repped” into the initial 18-controller model, enabling it to follow the path-animated model’s motion. This entry was posted in Friday Flashback and tagged Friday Flashbacks, Harry Potter, ILM, SOFTIMAGE|3D by xsisupport. Bookmark the permalink. Always a good idea to have a pet python around.